The Fastest Approvals For Car Title Loans Nova Scotia! Are you in dire need of financial aid in Nova Scotia to deal with the unexpected expenses? It’s easy to get an instant funding if you have your own lien-free vehicle. Canada Loan Shop can help you with car title loans Nova Scotia! You can borrow up to $65,000 with us. But for that, you must provide us a clear title of your vehicle, a valid Canadian driver’s license and a proof of permanent residency. We use your vehicle’s title as a loan collateral. Just Reach Canada Loan Shop For The Perfect Financial Assistance! At Canada Loan Shop, the loan amount you’re able to borrow with vehicle title loans Nova Scotia will depend on the true market value and also the overall condition of your vehicle. 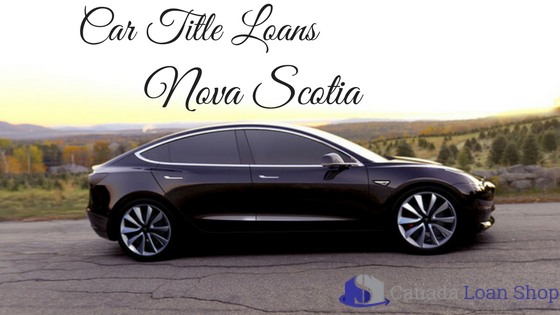 You Can Easily Get Approved For Auto Title Loans Nova Scotia! Step 2. Provide the supporting documentation. Step 4. Get funded in no time. Ready To Apply For Our Beneficial Car Title Loan Services In Nova Scotia? Call Us Right Now At Our Toll-Free Number 1-844-572-0004 And Get Started!